Sony Mobile have searched the globe for the world’s fastest talents and now it’s over to you. Show off your fast action for the chance to win an incredible bundle from Sony (including an Xperia XZ, PlayStation 4, 4K TV and more). 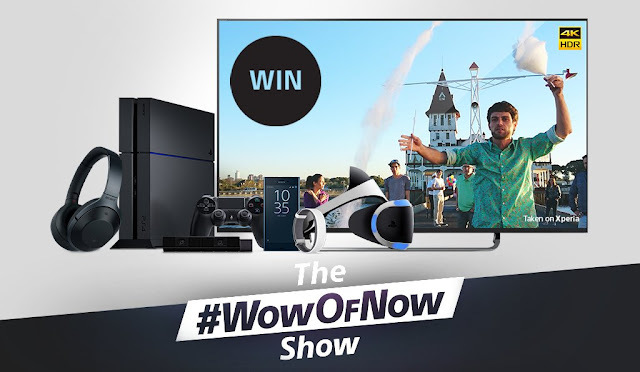 All you have to do is shoot a short video of you in action and then share it on Twitter or Instagram, tag #WowOfNow and #Xperia by the 30th of October 2016. Your video could appear on the global competition page and then it will be up to the public to decide if you’re one of the lucky winners – so what are you waiting for? Life can be fast and full of wonder – the high quality camera of the brand new Xperia XZ lets you capture unexpected action in beautiful detail. Spontaneous snapshots are crystal clear and bursting with colour, bringing to life the true wow of now. Check out this link for full details.